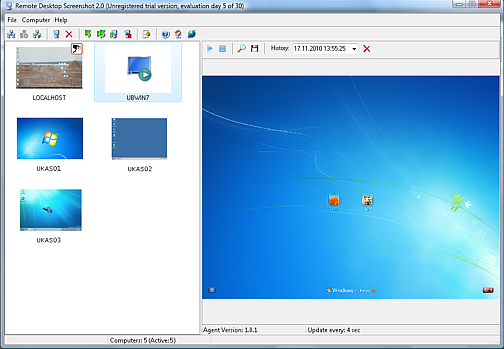 Remote Desktop Screenshot allows you to capture remote desktop screenshots. You can see all users\' desktops at once. With built-in scheduler you can set time for update screenshots for all computers or for certain computers.